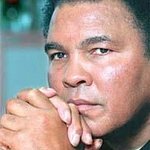 Muhammad and Lonnie Ali, and the Muhammad Ali Center today launched a campaign on Prizeo, the premier celebrity charity-fundraising digital platform, to raise money and awareness for the work of the Muhammad Ali Center, a 501( c )3 organization in Louisville, Kentucky. For micro-donations starting at only $3, contributors to the campaign at www.Prizeo.com/Ali will be entered to win the Grand Prize — the chance to meet Muhammad and Lonnie Ali and to attend as their guest a special celebration hosted by the Ali Center this October in the Alis’ hometown of Louisville. 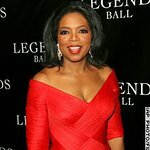 Prizeo also enables celebrities to maximize the benefits their social-media influence can deliver on behalf of charities. Recent Prizeo campaigns featuring celebrities including Samuel L. Jackson, Kristen Bell, Alicia Keys, Kobe Bryant, and One Direction's Harry Styles and Liam Payne have all shown the immense power of social media to raise both funds and awareness for charitable causes. The Grand Prize winner will be chosen at random and notified shortly after the campaign closes on September 12. For full contest rules, click here.